This event is free to attend, but if you choose to eat, you will pay for your meal at the end. While the Internet offers great access to valuable resources, it also provides opportunities for inappropriate content and interactions. 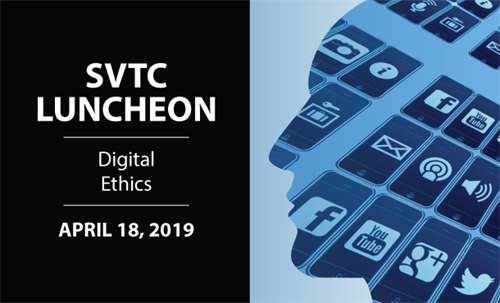 On April 18th, Joe Showker will join us to discuss the subject of digital ethics. Showker has given many lectures regarding this subject. A summary of a prior lecture given to students, as well as more information about him, can be found at https://www.jmu.edu/news/2016/04/22-showker-digital-ethics-mm-spr-sum.shtml. Joe Showker led a career in Rockingham County Public Schools for nearly four decades as a Physical Education and Computer Literacy teacher as well as a coach, then as a Instructional Technology teacher. He has become known statewide and nationally for his work developing and promoting standards for digital ethics and internet safety. He is the owner of Showker Enterprises, member of the JMU Alumni Board of Directors and the VHSL Foundation Advisory Board. Joe recently retired from a career as an educator and digital ethics expert. He is a mentor on social media ethics, digital interactions, privacy, and internet safety. He helped craft Virginia’s Public School Guide for Internet Safety, worked with the Attorney General of Virginia and has presented on Capitol Hill in Washington D.C. and MacWorld New York City. He consults others to reach their potential, build business networks and mentorship for best practices.